Fra’ Giacomo Dalla Torre del Tempio di Sanguinetto has been elected the 80th Grand Master of the Sovereign Order of Malta. The electing body, the Council Complete of State, the electoral body counting 54 members, met in the Magistral Villa, one of the Order of Malta’s two institutional seats, in Rome. Elected head of the Order of Malta on 29 April 2017, Fra’Giacomo Dalla Torre is now elected for life as Grand Master. Pope Francis has been informed by letter of the election result. 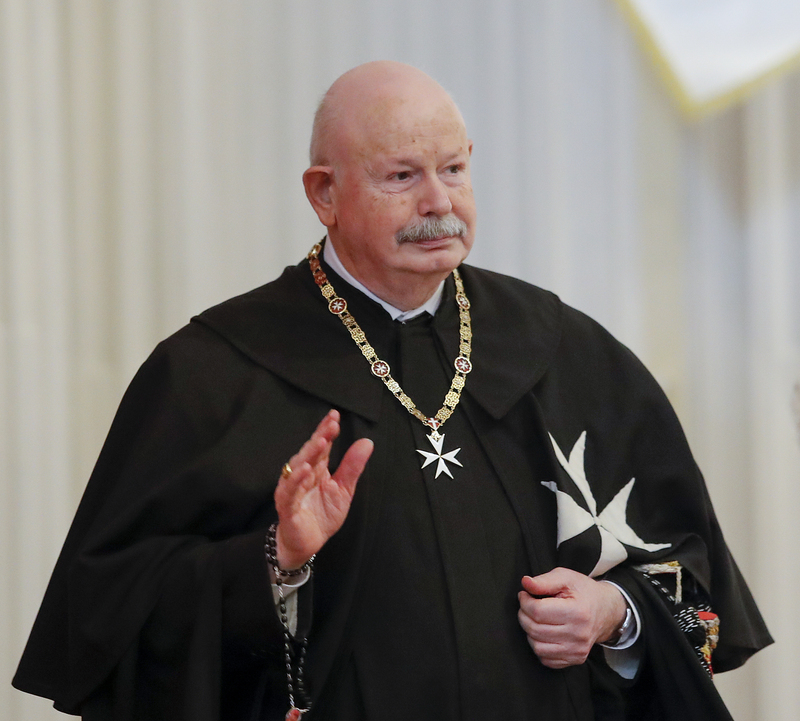 All the Order of Malta’s Grand Priories, Subpriories and National Associations around the world have been informed, as well as its diplomatic missions and those of the 107 countries with which the Order maintains diplomatic relations. According to the Order’s Constitution the Grand Master is the sovereign and religious head of the Order. Elected for life, he must fully dedicate himself to the development of the works of the Order and set an example of living by Christian principles to its members. He is vested with supreme authorities. Together with the Sovereign Council, the Grand Master issues the legislative measures not covered by the Constitution, promulgates government acts and ratifies international agreements. The States with which the Order has diplomatic relations recognise the Grand Master with the prerogatives, immunities and honours reserved for Heads of State. The Grand Master resides at the Order’s seat of government, the Magistral Palace in Rome.